The Ismailia International Film Festival for Documentaries and Shorts has announced that two separate juries will judge its different contests. "This is the very first time we are separating juries for the documentaries and shorts categories, since we noticed during the previous edition that the tight schedule and high number of films really exhausted the jury members," said festival director Essam Zakaria, who is running the third successive edition. Aside from the screening of the competing films, the 21st edition of the festival will also screen dozens of other films amid programmes celebrating African, Polish and French cinema, as well as films by the seven filmmakers being honoured this year. 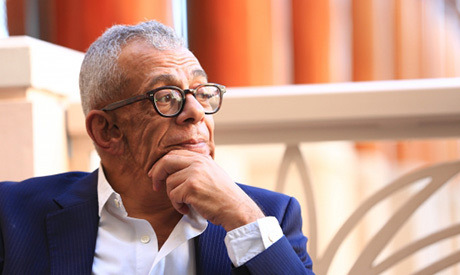 The documentaries competition is headed by well-known Egyptian director Yousry Nasrallah, assisted by Chris McDonald (the Hot Docs Festival executive director), Syrian actress Sulaf Fawakherji, Mozambican producer Pedro Pimenta, and Chinese Cherelle Zheng. In the Long Documentaries contest, 12 films produced in 2018 are competing; Blue Breath (Portugal, Finland, France), Delta (Ukraine, Germany), Diagnosis (Poland, France), Home Games (Ukraine, France, Poland), Indus Bluse (Pakistan), Michail and Daniel (United States, Czech Republic, Russian, Ukraine), Occupation 1968 (Slovakia, Czech Republic, Poland, Bulgaria, Hungary), Occupied Cinema (Serbia, Croatia), People's Republic of Desire (China), The Next Wave (Spain), Where Did Ramses Go (Egypt) and You Come From Far Away (Egypt, Lebanon, Spain). In the Short Documentaries contest, at least 22 films are competing; 100 Years Running (Italy), Mountain (Belgium), Trapped in the City of a Thousand Mountains (Netherlands, China), Splendour (Brazil), Sunday Market (Lebanon), Aisle (Germany, Lebanon), Bodies (Morocco), Born in Gambia (Gambia, Spain), Caravan (Macedonia), Faraway (Kyrgyzstan), Gaza (Spain), In Those Lands (Spain), Miracle Of Survival (Egypt), A Quiet Street (Belarus, Russia), Scarce (Philippines), Such Is Life (India), The Castle (Poland), The City and The Sky (Italy), The Stranger (Egypt, Italy), The White Hell (Egypt), Tides (Hungary) and Tracing Addai (Germany). 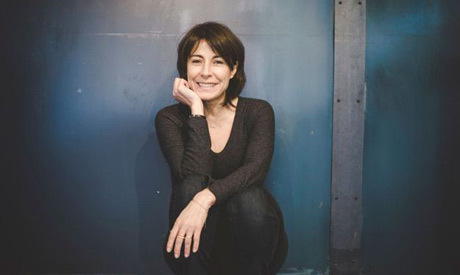 The Short Film jury is headed by French actress and filmmaker Maryline Canto, who will be assisted by South African filmmaker Catherine Meyburgh, Egyptian filmmaker Mohamed Hammad, Greek professor Anastasia Dimitra and Emirati actor and director Nawaf Al-Janahi. In the Short Film contest, 21 films are competing; A Country in Moving Pictures, Conversazione Privata, Dear Chickens (Switzerland/Mexico/USA), Decision, Eye Of The Mountain, Fish Monologue (India), Fog (Portugal), The Heritage (Kyrgyzstan), INTERCEPTOR (Finland), Krisi, Memoria Pick Me Up (Lebanon), Reflection, Slaughter, Sohna, a Flying Kid, The Boy who Wanted To Fly (Spain) Waiting (Spain), In Dance. Italy: Renaissance (Russia) The Gate Of God (Egypt) and others. In the Short Animation contest, 23 films are competing; A Bus ( China), Above All (France), Butterfly And Mouse, For The Sake Of Yousef, Gina (Mexico), I Am Not Playing Anymore, Kids (Switzerland), Musical Traumas (Serbia), My Franciszek (Poland), Patchwork (Spain), Per tutta la vita (Italy , France), Still Lives (Finland), Tango of Longing (Poland), The Tebelgeza (Poland), The Angler (South Korea), The Incomplete (Iran), The Legends of Jenny Haniver (United Kingdom), The Monk, Santa (Spain), Widdershines (Scotland), Yesterday will be tomorrow (France). The festival's opening film will be 'We Are Not Princesses' (2018), directed by Bridgette Auger and Ittab Azzam, which tells the story of the "incredible strength and spirit of four Syrian women living as refugees in Beirut."